The University of Arizona has named one of its endowed professorships for a folklorist who roamed the Sonoran desert in search of beauty hidden in plain view for 40 years and shared that beauty with everyone. 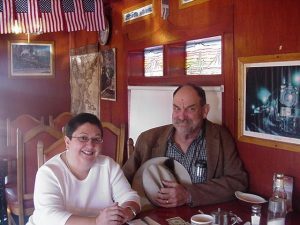 The Jim Griffith Public Folklore Chair will serve to honor the work and legacy of “Big Jim” Griffith with a permanent faculty position in the Southwest Center dedicated to the study of folklore, John Paul Jones III, Dean of the UA’s College of Social and Behavioral Sciences. The chair ensures the longevity of that commitment. “When Jim’s not here and when I’m not here, there will still be someone upholding that tradition and commitment,” Alvarez said. When Jim Griffith took his first job at the University as director of the newly formed Southwest Folklore Center in 1979, his passion for the traditional arts of the region had already yielded some significant results. 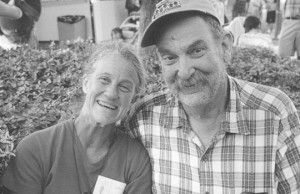 Five years earlier, Jim, his wife Loma, and Mary Sowls of the Cultural Exchange Council had conceived, planned, and presented the first Tucson Meet Yourself Folklife Festival. Now in its 45th year, the festival is one of Tucson’s largest and recognized nationally not only for its diverse participants who share expressions of culture but also for its equally diverse audience. Public folklorists view themselves as serving the communities they study and the general public, as well as their academic discipline. Jim’s work on the study and celebration of Southwestern culture and folklore “one of this university’s most successful examples of community engagement,” Jones said. Jim’s idea for the festival was rooted in ideas of respect and generosity and conviviality, philosophies that have guided his scholarly research as well. Jim’s master’s research on Pascola masks and rituals of the Mayo people in northern Sinaloa and his dissertation on Tohono O’odham (then called Papago) chapels in the Southwest, had given him deep experience with the cultures and traditions of the borderlands. While at the University, Jim directed the Southwest Folklore Center at the University from 1979 to 1998, bringing to life the study of folk and religious art traditions in lectures, books, and on television. Since then, he has continued studying cultures of the region and serving as something of an ambassador of mutual respect wherever he goes. Jim is currently working to raise additional funds for the endowment in order to keep up with rising salaries and other expenses. To make a donation to the Jim Griffith Endowment contact Ginny Healy at the UA College of Social and Behavior Sciences: ghealy@email.arizona.edu.